How often do pipelines blow up? Accidents like the one Monday that shut down the Colonial pipeline are not terribly rare. But it is rare for such accidents to cause a fatality. Monday's blast occurred when a construction crew in Shelby County, Alabama hit the pipeline with a trackhoe. 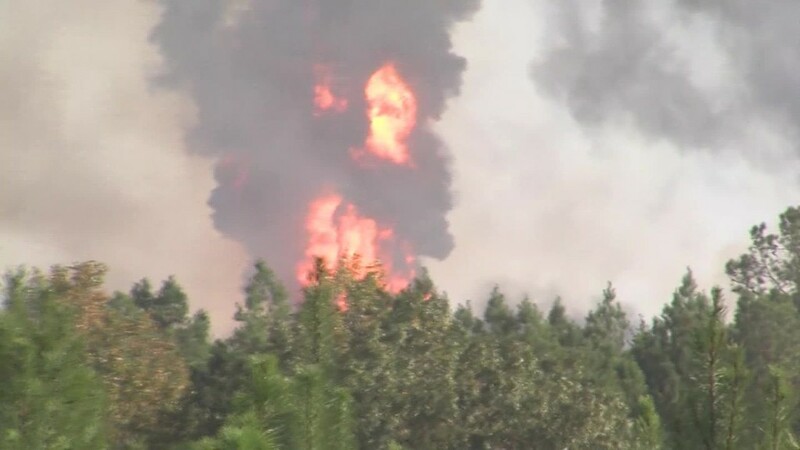 The explosion killed one worker, injured five others and sent a massive plume of flames and smoke into the sky. There have been 135 excavation accidents involving pipelines carrying hazardous liquids, such as gasoline or crude oil, over the last 10 years, according to Carl Weimer, executive director of the Pipeline Safety Trust, an industry watchdog group. That's roughly one a month. But there has only been one fatality from such an accident in the last ten years, when a Georgia man was killed when a pipeline carrying liquid propane ruptured in 2010. "Fatalities are fortunately pretty rare," said Weimer. "But things do go terribly wrong sometimes." Before that, the last fatal accident was six years earlier, in November 2004, when a jet fuel pipeline in Walnut Creek, Calif., was hit during a nearby construction project, killing five workers. The liquid pipelines are typically made of thick steel or even cast iron. So excavation accidents generally just cause spills rather than an explosion. Most hazardous liquid pipeline fatalities are due to other causes, such as improper operation of the pipeline or equipment failure. About 55% of the 135,000 miles of oil and gasoline pipelines in the U.S. was installed in 1969 or earlier, according to government data. That's before current safety regulations were in effect. Some sections are as much as a century old. Fatalities are far more common when a natural gas line is ruptured. There were 116 deaths involving natural gas pipelines in the last 10 years, 32 of which were caused by excavation accidents. Most of those excavation deaths involved the relatively small pipes carrying natural gas into homes and businesses, which are often made from polyethylene instead of metal. The number of natural gas accidents isn't that much higher, but Weimer says, "a lot more people are killed and injured."